Since 1994, ServiceMaster by Disaster Associates, Inc. has been the name people can trust for emergency disaster restoration and cleaning services in Dover, NH and surrounding areas. Our company was formed after owners Dan Noyes and Chris Carey merged the restoration companies they each started in the 1980s to create ServiceMaster by Disaster Associates, Inc. All of our technicians are fully certified by the IICRC, Indoor Quality Associations, and the ServiceMaster Clean Quality Assured Program. This guarantees that we can provide the best cleaning and restoration services for your home or business, and we’ll work with your insurance company to make the claims process as easy as possible. We’re available 24 hours a day, 7 days a week because disasters don’t keep business hours. Fires are the most frightening of all the disasters because they can start small and grow very quickly with little warning. The most important thing to remember in case of fire is to get everyone out of the building and call 911 from a nearby location. Seeing the flames and the destruction they cause is intimidating and there’s a definite sense of relief when they’re out. That’s not the end of the devastation though; smoke, soot, water, and firefighting products continue to damage your home or business and its contents until cleaning and restoration begins. ServiceMaster by Disaster Associates, Inc. offers full service fire and smoke damage restoration services to residential and commercial clients in Dover, NH and surrounding areas. Our professionals have worked on restoration projects of all sizes and we have the training and experience to stop etching and tarnishing, as well as remove smoke and repair water damage. 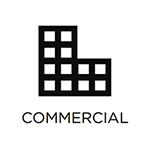 A disaster often affects more than just a building; the contents of your home or business may be damaged by water, mold, or soot and without fast restoration, the damage will become permanent. You know to call a contractor to repair a building, or a plumber to fix a pipe, but who do you call to restore waterlogged books, smoke filled furniture, or moldy clothing in Dover, NH and surrounding areas? You call ServiceMaster by Disaster Associates, Inc.! It’s important to call soon after a disaster, because delicate items like electronics must be restored quickly. 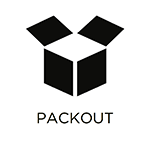 We do most of the restoration work on-site, but if the building isn’t structurally sound, we’ll inventory and pack-out your items for transportation to our secure, climate-controlled facility for restoration. We’ll store the items after restoration and once your building has been rebuilt, we’ll return them to you. Water is the most common cause of property damage because it comes from so many different sources. Flash floods can overwhelm basement drains, or someone can forget to turn off the bathtub. A pipe might break in a wall while you’re on vacation or a sewage backup can happen during a family holiday party. All of these situations, as well as others, mean you’ll need water damage restoration services from ServiceMaster by Disaster Associates, Inc. Our technicians will arrive quickly to contain the spread of the water and keep it from spreading further. We use the most advanced drying and water extraction equipment in the industry to remove water from furniture, drywall, and carpets before mold can begin to grow, as well as repair and restore damaged items. Mold does more than discolor walls and clothing. It eats away at their fibers until they eventually rot and collapse. Mold grows within 48 hours after a water leak because the microscopic spores are everywhere in the air and even the best air purifiers can’t remove all of them. They feed on common household sources of cellulose, like wood, cardboard, and paper so all they need is water to start growing and spreading. Not only do they destroy property, but they also cause health problems. Exposure to mold has been known to cause eye, nose, and lung irritation, as well as make allergies worse. 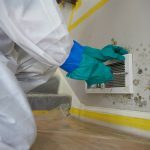 ServiceMaster by Disaster Associates, Inc. uses only the most effective equipment in the industry to locate and destroy all traces of mold from your home or business in Dover, NH. We’ll prevent mold from coming back by finding the original source of excess water and repairing the problem. 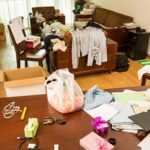 Hoarding is more widely understood these days as being a symptom of anxiety and not a sign of lazy housekeeping. For reasons they may not understand themselves, individuals are unable to throw items away; in many cases, the “collections” aren’t valuable but are composed of worthless items like newspapers, old clothes, or mail. These items usually accumulate in piles, and since they’re not organized, they can accumulate dust and hide rodents, insects, and mold. 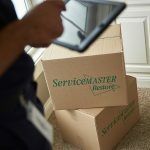 ServiceMaster by Disaster Associates, Inc. can help families in Dover, NH and the surrounding areas work with loved ones in a hoarding situation. Our caring professionals understand this isn’t just poor housekeeping, so we work with the individual to create a comprehensive de-cluttering and cleaning plan to restore the home to safe conditions again. We know this is a condition with roots in anxiety, so no items will be removed without the individual’s permission. The carpets in your home or business take a beating every day. Dirt gets ground deep down past where daily vacuuming can remove it. 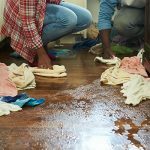 Spills discolor the fibers and age them prematurely. Pet smells soak into fibers and padding, where it’s difficult to cover or remove them yourself. When a carpet is dirty or smelly, everyone who walks into the room knows it. ServiceMaster by Disaster Associates, Inc. provides high quality carpet cleaning services for homes and businesses in Dover, NH. We use the hot water extraction method to gently but effectively remove dirt, stains, and odors from your carpets, with only 24 hours drying time. Regular cleanings will keep your carpets looking their best at all times.